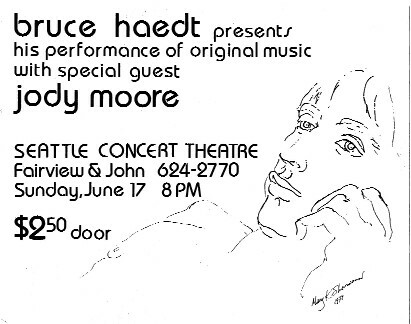 Bruce Haedt; "Look at my Face" and other albums from 1979-80. 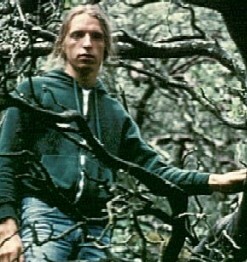 Recorded on 1 or 2 cassette machines. Currently unavailable due to poor quality of master. Face" and "I Want to Hold You". enthusiasm, hope and tons of can-do attitude! the wistful romanticism, but POPISH to say the least. of it to every major record label at the time. Result = rejection letters! performances from my early life. 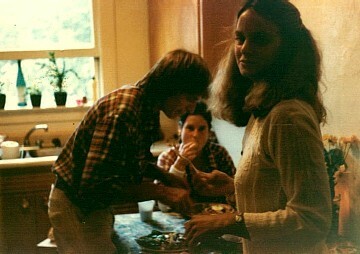 Jody in front, me and Abby in my apartment on Thomas Street, 1979. Seattle Times and eventually torn down for parking. early days of Windham Hill. favorites, and had been totally "lost" to me until digging into the archives. an attempt to convince Herb Albert that I could be a star on his label. I lasted 4 months in L.A.